For the health nut in your life. Even if the health nut in your life just happens to be you……. I guess the title for this post really should be breakfast yesterday, but I have a thing going now and I’m not stopping. So yesterday’s breakfast was one of those ‘I slept in really late and now I’m starving and need something healthy and filling’ type of breakfast. 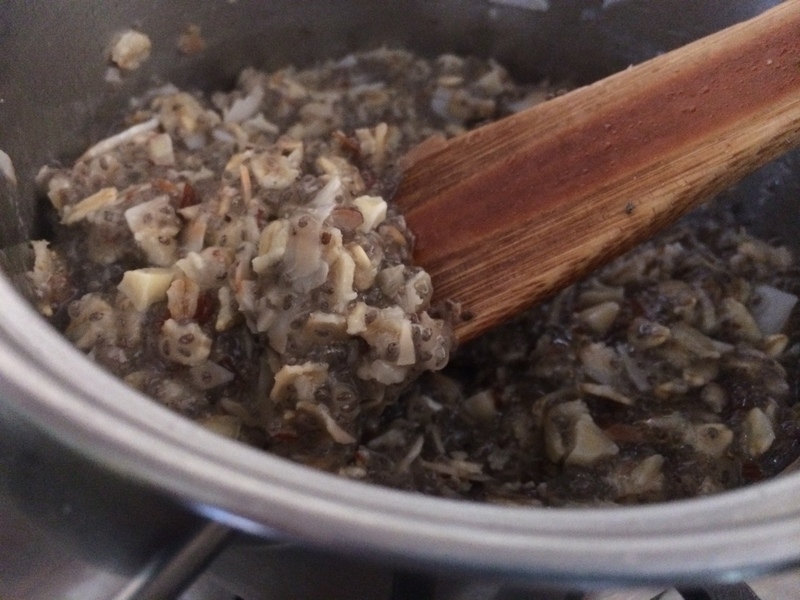 So, I thought I’d make oatmeal with chia seeds for something different. 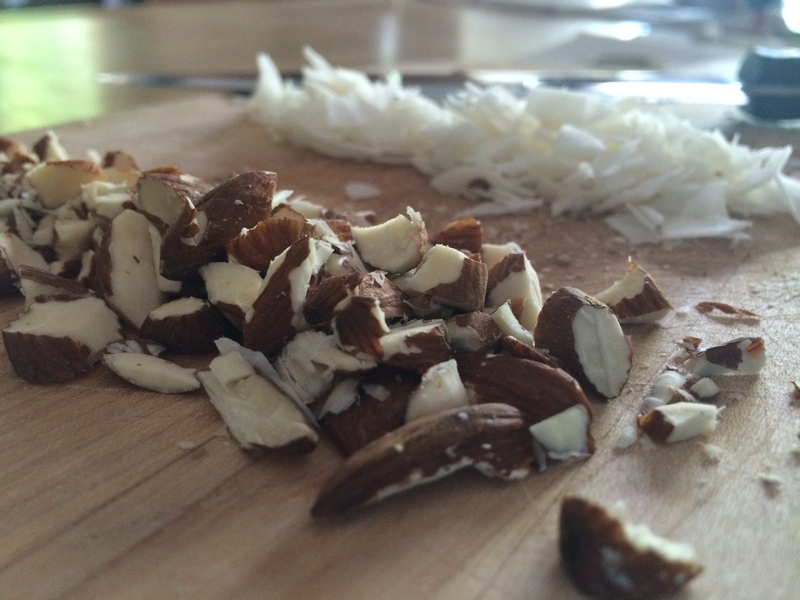 I also wanted something nutty, so I pulled some almonds and coconut from the back of the pantry and added those in to. 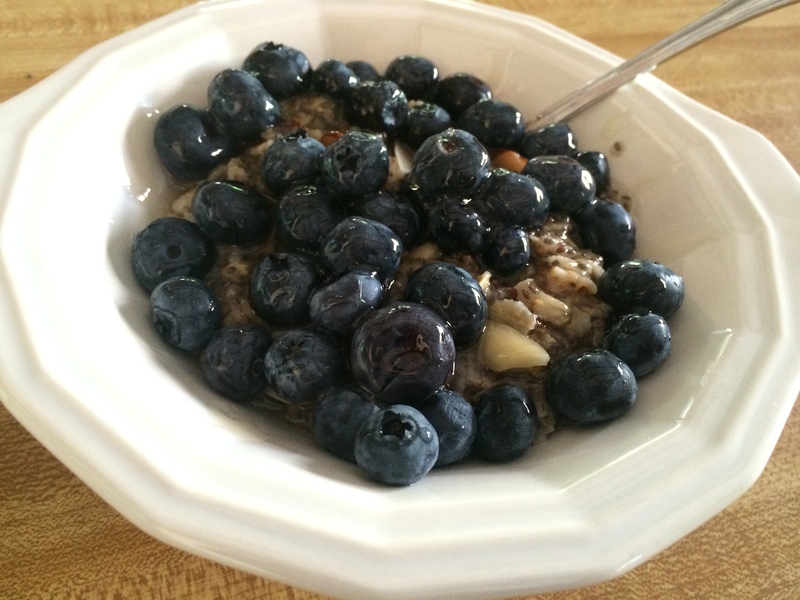 Then, I thought it needed something sweet, so when I had it in the bowl, I topped it with blueberries and honey. All good stuff. 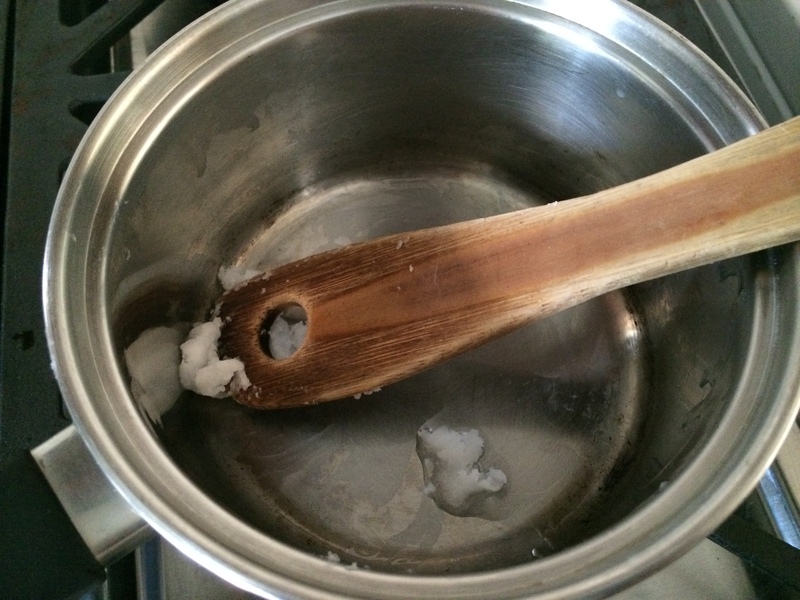 First, heat coconut oil in a small sauce pan. Meanwhile, chop your nuts. 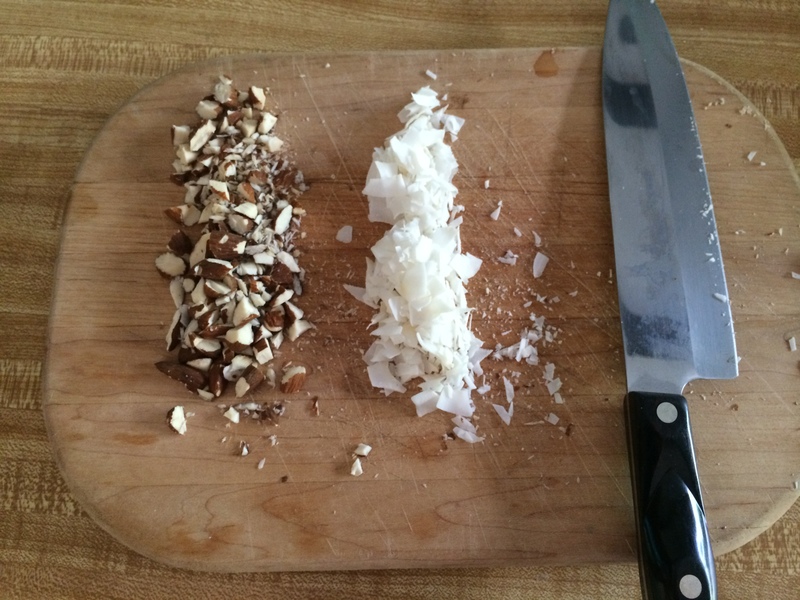 I used almonds and coconut, but use whatever you have. I do a coarse chop, so I still get chunks. 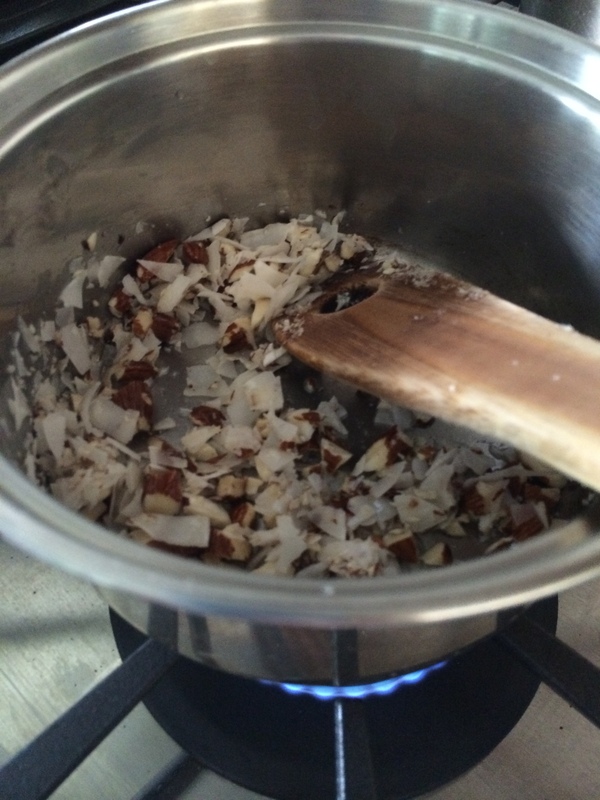 Add to the coconut oil and toast till it’s, well, toasty! Then add the water, salt, and chia seeds. Bring it all to a gentle boil. By now it will look something like runny blue goo, but stick with me! 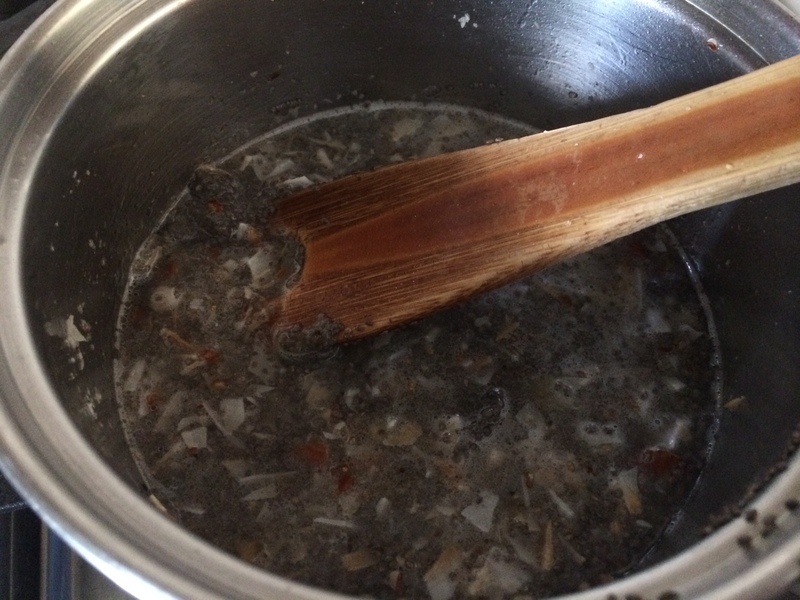 Add the oats and simmer till you like the consistency. 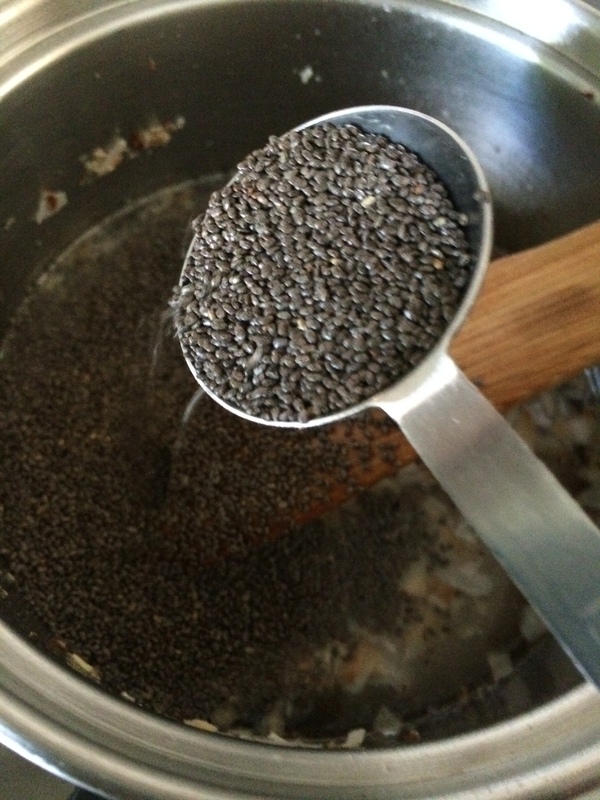 The chia seeds will expand a lot, making it look like chia seeds with a little bit of oats. Then throw into a bowl or two and top with whatever toppings you like. Wow, neat idea! I’d like to give this a try. Would you say it’s pretty filling? Very filling, thanks to the chia seeds! ← Breakfast Today: Nut Lovers Toast!